Using greywater is a great way to feel like you're doing something positive for the environment, and at the same time saving money. When it comes to using greywater on your property there a many things you should be aware of. 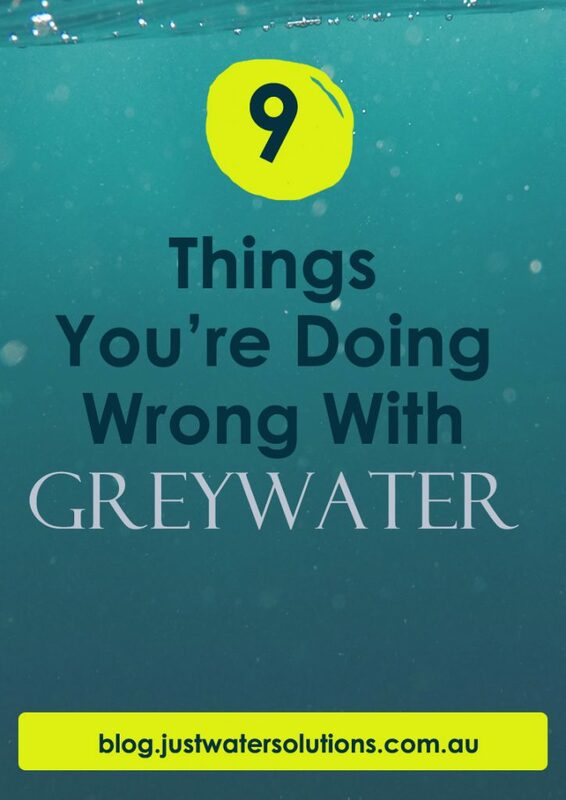 Here are 9 things that you are doing wrong with greywater. Why? Because you should. Why would you not want to water your garden with water that you've already paid for? Your garden loves greywater. It will reward you by being green and happy and you don't even have to do anything! Well, after you've installed a greywater reuse system. Here's just one example of a garden that's loving greywater. Your garden doesn't like too much of anything that will create an imbalance, so be aware of what goes down the drain. Salt, boron, phosphates, chlorine bleaches are examples of chemicals found in washing products, soaps, shampoos and body washes. These type of products probably aren't the best for our bodies either. It's great to be mindful of what you're using and whether it can be replaced with a gentler, environmentally friendly product. Because that water is just a bit yuck. Waste water from the kitchen is classed as black water. It has suspended fats, food waste and harsh chemicals, and regulations prevent reusing this water. Also the water savings just aren't worth it. Of course you can use a container to catch the water when you're scrubbing your vegetables, or if you're running the tap for ages waiting for the hot water. Just pour that over your herbs at the back door. I don't mean when there's a few showers around. But if it's the middle of winter (or the middle of the wet season) and your lawn looks like a lake, you can turn the greywater unit off and let the water go to the sewer. 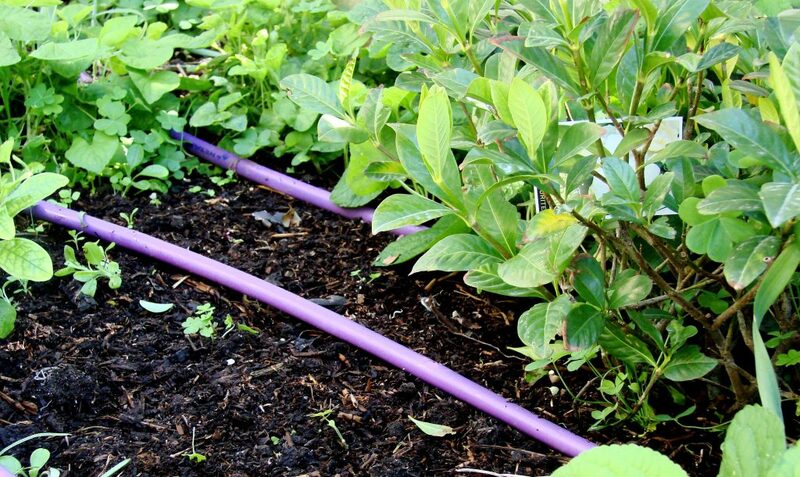 EPA recommendations are that greywater must be released via subsurface irrigation. Is there a way to avoid this topic, or a nice way to say it? Probably not. OK, so, if you are washing nappies, clothes, bedding or towels that have faecal matter on them, just let the water go down the drain. You can use the rinse water on the garden, but for the health and safety of your family, don't use the washing water. Greywater shouldn't be stored for longer than 24 hours because it contains nutrients including washing products and dirt. These start decomposing and the water will start to smell. The best thing is to just pump it out straight away. Having an in-ground drip system installed makes this automatic, and once your system is installed you really don't have to think about it again. Another very important regulation is that your greywater isn't allowed to run of your property into stormwater systems, aquifers, rivers and creeks or onto your neighbour's property. If you have a properly installed irrigation system, there is very little chance that this will happen. So there you have it, nine things to think about when you're considering installing a greywater system. Once your system is installed correctly and you have your irrigation in place, you'll never look back. With summer fast approaching, are you considering installing a greywater system? We're happy to answer any questions you may have, so leave a comment.